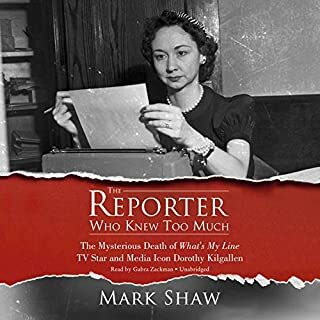 Was What's My Line TV star, media icon, and crack investigative reporter and journalist Dorothy Kilgallen murdered for writing a tell-all book about the JFK assassination? If so, is the main suspect in her death still at large? These questions and more are answered in former CNN, ESPN, and USA Today legal analyst Mark Shaw's 25th book, The Reporter Who Knew Too Much. I would recommend this book even if you don't normally read non-fiction. Mark Shaw very skillfully lays out fact after fact and allows you to draw your own conclusions. If you dismissed other works centered on the JFK assassination as a bunch of nutty conspiracy theory, this book will open your eyes. I am looking forward to other works by this author. Gabra Zackman’s read was spot on - even sounding like Dorothy Kilgallen when reading her parts. Give this one a listen! I am sure this is not for everyone, but if you already like the HGTV show Fixer Upper you will probably love this book as much as I did. 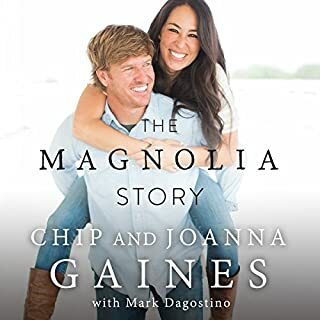 Originally I purchased the actual paper BOOK for my wife and she really enjoyed finding the back story of How Chip and Joanna met, built a family, and created a great business. 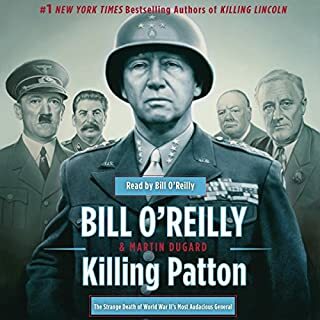 I am a big Audible user so I purchased the book to listen to as I drove to and from work. In the context of a recording, &quot;I couldn't put it down&quot; and listened to the entire book in two days. This is more from Joanna's point of view, but I also purchased and listened to Chip's new book (Capital Gaines: The Smart Things I've Learned by Doing Stupid Stuff) which I also loved! I really thought I would enjoy this book, if nothing else, because I Love the way Wil Wheaton breathes life into characters. 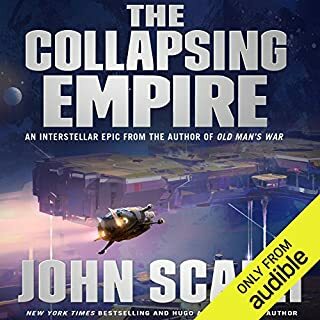 The pleasant surprise was how enjoyable the writing style of John Scalzi is. From the prologue I was captivated by the characters and society of &quot;The Empire&quot;. Even the faster-than-light travel was explained in a plausible way without being techno babble. Now I can’t wait for the second book in the series. Enjoy. First, I liked Ray Porter’s read. 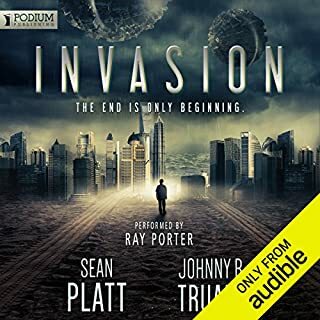 Invasion seemed like an interesting premise but this first book should really be called Before the Alien Invasion. Most of the story deals with the journey of the main character and his family from New York to Colorado. Along the way society starts to break down. What I did not like was near the end of several chapters upcoming events are hinted at... but they take a long time to actually happen. So for me it was a let down as the narrative slowly winds it's way to the hinted event. I think I will pass on the rest of this series. 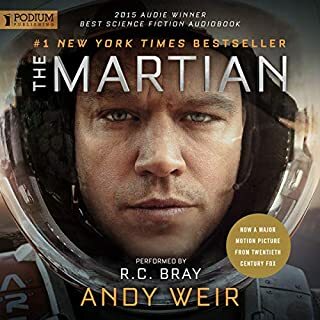 Would you listen to The Martian again? Why? Yes - in fact I have already listened to it twice. When I first purchased then again right before the film came out. The airlock explosion was realistic and exciting. I thought I made a mistake at first since the narrative was very detailed about the science involved, but after just the first few chapters I really started to enjoy the technology descriptions. I was really surprised by the drama level by the end of the book - the final two chapters had me lingering in the car so I could listen to just a few minutes more... Great book. The movie was also very entertaining but I really am glad I experienced the book first. 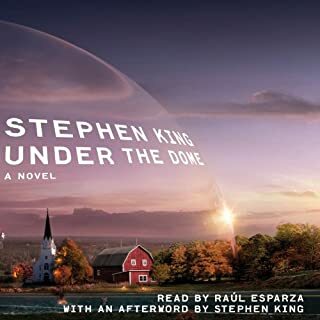 What did you love best about Under the Dome? Starts with a bang and lets you cruise at a comfortable pace getting to know the many characters involved. King is a master of subtle character development and concurrent related stories within the master plot. This is as good as anything by King. Without giving it away there is a very simple premise at play here. It deals with mob mentality but on many different levels - and for both good and evil. What about Raul Esparza’s performance did you like? Really the narration was one of the key elements in my satisfaction with this purchase. Raul Esparza kept me interested for hour after hour - and it was never hard to figure out which character was in the spotlight. Very well done.